No study of health outcomes of vaccinated people versus unvaccinated has ever been conducted in the U.S. by CDC or any other agency in the 50 years or more of an accelerating schedule of vaccinations. Most data collected by CDC is contained in the Vaccine Adverse Event Reporting System (VAERS) database. The VAERS is generally thought to contain only 3 to 5 percent of reportable incidents. Prior to contemporary vaccination programs, ‘Crib death’ was so infrequent that it was not mentioned in infant mortality statistics. In the United States, national immunization campaigns were initiated in the 1960s when several new vaccines were introduced and actively recommended. For the first time in history, most US infants were required to receive several doses of DPT, polio, measles, mumps, and rubella vaccines. Shortly thereafter, in 1969, medical certifiers presented a new medical term—sudden infant death syndrome. It appears as though some infant deaths attributed to SIDS may be vaccine related, perhaps associated with biochemical or synergistic toxicity due to over-vaccination. The US childhood immunization schedule requires 26 vaccine doses for infants aged less than 1 year, the most in the world, yet 33 nations have better IMRs. Using linear regression, the immunization schedules of these 34 nations were examined and a correlation coefficient of 0.70 (p less than 0.0001) was found between IMRs and the number of vaccine doses routinely given to infants. When nations were grouped into five different vaccine dose ranges (12–14, 15–17, 18–20, 21–23, and 24–26), 98.3% of the total variance in IMR was explained by the unweighted linear regression model. These findings demonstrate a counter-intuitive relationship: nations that require more vaccine doses tend to have higher infant mortality rates. Documents obtained via the Freedom of Information Act show that CDC officials were aware of Danish data indicating a connection between removing Thimerosal (49.55% mercury) and a decline in autism rates. Despite this knowledge, these officials allowed a 2003 article to be published in Pediatrics that excluded this information, misrepresented the decline as an increase, and led to the mistaken conclusion that Thimerosal in vaccines does not cause autism. In Denmark, Thimerosal, a controversial mercury compound used as a preservative in certain vaccines, was removed from all Danish vaccines in 1992. The well-publicized Danish study published in Pediatrics 2003 claimed that autism rates actually increased after Thimerosal was phased out. This study subsequently became a cornerstone for the notion that mercury does not cause autism. However, one of the FOIA documents obtained from CDC clearly indicates that this study omitted large amounts of data showing autism rates actually dropping after mercury was removed from Danish vaccines. Why would anyone knowingly cover up the dangers of Thimerosal in vaccines? (1) What I call the "Vaccine Construction" is a combination of Federal/State Agencies and Vaccine Manufacturers banned together into a HOUSE OF CARDS made up of certain foundational beliefs: The construction's whole current premise is made up of the idea that (1) vaccines are safe, (2) have always been safe, (3) they can be relied on, (4) the agencies can be trusted to look out for the public good, (5) that vaccines have an overlying wonderfulness that acts as a "Prevention" of disease, since, as they falsely claim "Vaccines have eradicated most diseases." (2) Vaccinology has become a religion in every sense of the word. This attack, as seen by the "Vaccine Construction" is an attack on their very basic beliefs. I'm going to do a separate article on this. (3) All aspects of the Vaccine Program, whether US/Canada, or worldwide, would come into question. For instance - the increased schedule itself, with, or without, Thimerosal is certainly questionable. The World Health Organization is trying to prevent thimerosal, a mercury-based preservative used in vaccines, from being banned. WHO says the environmental experts negotiating the treaty may not realize the full health consequences of their actions. The U.N.'s health agency says thimerosal is not a health risk in the amounts present in vaccines. And Dr. Allison McGeer, of Toronto's Mount Sinai Hospital, says that without it vaccine makers would have to switch from multi-dose vials to single dose formulations. She says that would drive up the cost of vaccines and also create logistical problems. "If you inject thimerosal into an animal, its brain will sicken. If you apply it to living tissue, the cells die. If you put it in a petri dish, the culture dies. Knowing these things, it would be shocking if one could inject it into an infant without causing damage." - The quote is from Boyd Haley, at the time Professor and Chair, Dept. of Chemistry, University of Kentucky. Gardasil: Why are we killing young girls with a 'vaccine'? 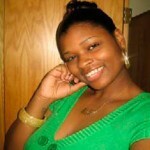 Moshella Roberts, 20, a student from Fayetteville State University, Fayetteville, (Carolina – North) . She died from the Gardasil vaccination, her first day on the job at Trinity Home Care, April 5, 2008. Shelly appeared to have died in her sleep while on the job that morning. Is the rise of type 2 diabetes as unstoppable as governments make out? Type 2 diabetes is a metabolic disorder that is not only easily preventable, but one that can very often be handled through dietary and lifestyle measures alone – no drugs required! If the diabetic tide is to be reversed, surely the time has come for health authorities to promote these simple and effective strategies? In fact, is this the issue that should finally be used to pull public health policy away from the grasp of Big Pharma interests? Swiss pharmaceutical giant Novartis announced 2,000 job losses Tuesday, mostly in Switzerland and the United States, while reporting net profits of $3.53 billion (€2.5 billion) for the third quarter. South Korea's anti-trust agency has fined drugmaker GlaxoSmithKline three billion won ($2.6 million) for conspiring with a Seoul rival over the sale of drugs, an official said Monday. The Fair Trade Commission (FTC) said GSK in 2000 offered Dong-A Pharmaceutical the exclusive right to sell its anti-nausea drug Zofran and an anti-viral medication called Valtrex. In return, the FTC said the British-based multinational demanded that Dong-A stop selling a cheaper generic version of Zofran which the Seoul firm had introduced in 1998. GSK also asked that Dong-A never produce or sell any drugs that could compete against Zofran and Valtrex, Kim Jun-Ha, a FTC official involved in the case, told AFP. 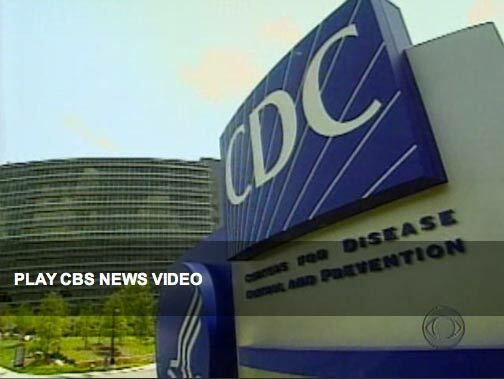 A US congressional report charges that the CDC - Centers for Disease Control - squandered millions of dollars on its new headquarters while the agency's disease fighting initiatives languish. 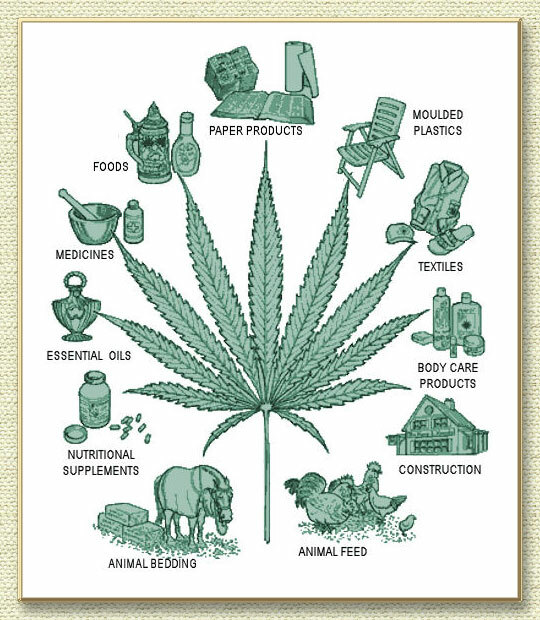 Hemp can replace Trees, Cotton, field Corn, and OIL for almost ALL current industrial uses! IF hemp were legalized, since hemp is SUPERIOR to other available natural resources, a few petrochemical monopolies would no longer be feasible... including monsanto's GMO cotton business that consumes HALF of the petrochemical pesticides sprayed in the USA, Hearst's deforestation business would no longer profit from destroying our forests, and we would no longer need Rockefeller's fossil fuels - because we can replace coal (electricity) with hemp pyrolysis, and we can replace gasoline with vegetable oil methanol, and Dupont's toxic plastic business would be replaced with non-toxic, biodegradable, stronger, lighter, hemp plastics like they're already using to make Mercedes car parts. Once a patented medicine is approved the topic is only infrequently revisited as there is a tremendous financial risk to repeating the study and getting a different result. Conversely, inexpensive or non-patentable treatments do not have this disincentive and in fact may pose a threat as an inexpensive alternative to well-established revenue streams. This “financial bias” as I would term it, may sometimes explain the very common phenomena of vitamin or nutritional based therapies initially being found to be effective in an important disease or health indication, only for subsequent studies to contradict the result. Certainly this is not always the case, however, this pattern occurs with such regularity and the motivation for protecting lucrative revenue streams is so obvious that it is certainly worth consideration. Over the past 27 years — the complete timeframe that the data has been available — there have been 0 deaths as a result of vitamins and over 3 million deaths related to prescription drug use in the USA alone. In fact, going back 54 years there have only been 11 claims of vitamin-related death, all of which provided no substantial evidence to link vitamins to the cause of death. The news comes after a recent statistical analysis found that pharmaceutical drug deaths now outnumber traffic fatalities in the US. Will the Top Skeptic "Amazing Randi" Be Federally Indicted in Florida? Most of these organic cancer treatments can be used in conjunction with traditional family remedies such as combining cottage cheese with flaxseed oil to create a chemical reaction that helps your body break down and absorb more of the natural vitamins and enzymes in food that your body uses as building blocks for healing. Tina van der Maas has been the driving force behind former South African health minister Dr. Manto Thshabalala Msimang’s lemon, olive, garlic, ginger and beetroot program. This has been belittled and vilified by a chorus of either totally uninformed or malicious members of the press and of course the paid sycophants of the petrochemical pharmaceutical cartel, the Treatment Action Campaign (TAC). By moving so far from nature and actively rejecting its wisdom, drug-dependent medicine is really just another experiment like the Euro, and one that never really stood a chance of succeeding. For proof, look no further than recent statistics showing that deaths from pharmaceuticals now exceed those of traffic accidents in the USA. By contrast, natural healthcare, in its many forms and guises, uses nature as its guide and treats the person, not the disease, working gently to bring the body back into balance (homeostasis). From a more spiritual perspective, the solidarity economy moves us from a “me” to a “we” economy, recognizing, like the Buddhists do, that we are all interconnected – we including the Earth and all its creatures - which the Bolivian Government recently encoded in law. Dr Xie said: "Compared to rechargeable batteries and supercapacitors, the proprietary membrane allows for very simple device configuration and low fabrication cost. Moreover, the performance of the membrane surpasses those of rechargeable batteries, such as lithium ion and lead-acid batteries, and supercapacitors." In a test on 28 October 2011, the Rossi Energy Catalyzer has successfully shown that it is possible to produce heat energy in self-sustained mode from negligible quantities of hydrogen under pressure and in contact with a metal catalyst. 470 kW were produced each hour, in a test lasting over 5 hours. Self-sustained mode of energy production was achieved after an initial supply of heat energy to start the reaction.